Display tents at the show offer demos of the old machines. 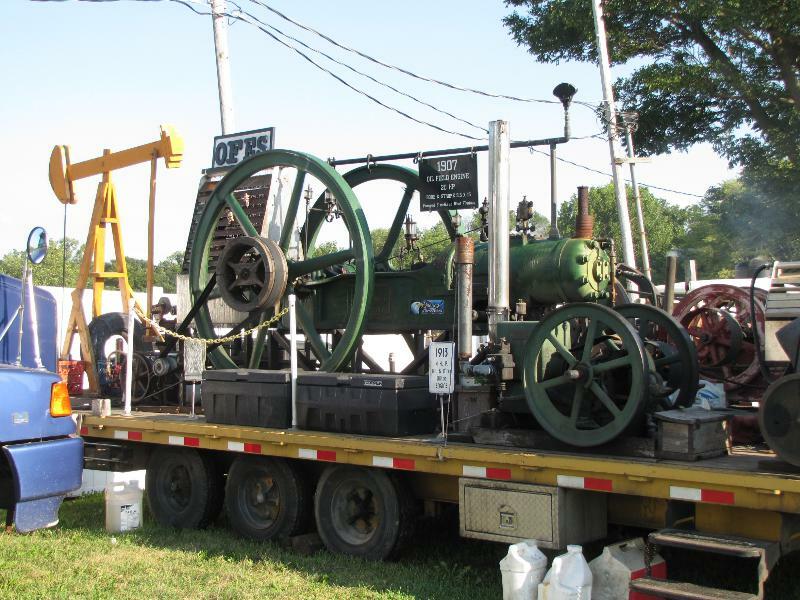 Greensburg, Indiana hosts an antique tractor and steam engine festival once a year at the fairgrounds. Named appropriately Power of the Past, this show runs for four days in late August each year. It is remarkable how many tractors and engines arrive at the show, and from all over the country as well. The show has different classes of displays ranging from full sized steam engines that used to power threshing machines, down to small engines that operated everything from wood saws to ice cream makers. In addition every brand of antique tractor is also represented. Brand loyalty is strong with these collectors. Some will have only John Deere models, others collect now defunct brands like Minneapolis -Moline. This 1907 steam engine operated an oil well pump. The four days are packed with various activities. One day a parade of the antique machinery heads out into the town and the countryside. There is of course judging of the individual tractors and engines, with awards given. 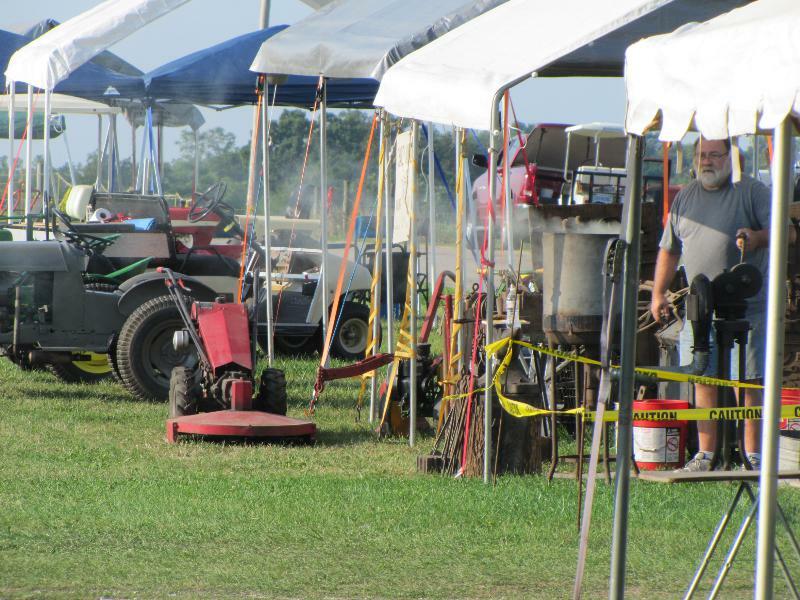 Probably the most popular events are the tractor pulls, where the old timers hitch up to a weighted sled and see how far they can pull the load. there was also a draft horse pulling competition one day as well. They covered all forms of power from the past! The Greensburg Power of the Past website offers details about the 2015 event.